Lectio Divina: Why Not Try It This Lent? Why Offer God the Finest of Human Artistry? As explained previously, this series of essays is intended to respond to the claims made by the blog “What Sister Never Knew and Father Never Told You ”, in an article which the principal author of PrayTell, Fr. Anthony Ruff OSB, recently quoted as an explanation of “why for so many of us there can’t be a going back to the old rite”. The original article, written under the pseudonym Consolamini, claims that the Offertory ritual of the Missal of St Pius V represents a new theology, invented in the 13th and subsequent centuries by Scholastic theologians. The priest was not seen to be a sacramental sharer in the one priesthood of the One Priest, Christ, but like the priests of the Old Law a man who approached the sacrifice in virtue of his own priesthood. … The medieval scholastic theologians not only exaggerated the sacrificial nature of the Mass to make it repetitive of Calvary, but they invented a second sacrifice in which bread and wine were offered to God at the “offertory” of the Mass. In the previous article, I examined the text of the traditional Offertory in light of the claim that it represents a “second sacrifice” of bread and wine, apart from the Sacrifice effected by the Canon. Here I shall examine some of Consolamini’s claims about the Offertory and the priesthood in the light of other liturgical texts, both ancient and modern. The word “Offertorium” is not formally the name of a rite, but of the chant that was sung while the bread and wine were brought to the altar and then prepared. The term is used in all of the ancient chant manuscripts, and there is no other name for it attested in the Roman Rite. In medieval Missals, as in that of St. Pius V, the group of rites and prayers now usually called “the Offertory” has no title at all. In the edition of 1962, the name of the chant was changed to “the Antiphon at the Offertory”, but even then, the Offertory prayers themselves as a group still do not have a title. The choice of name certainly indicates an understanding, in a much earlier period than that of the Scholastics, that the presentation and preparation of the elements of the Eucharist participates in some way in the Eucharistic offering which is made in the Canon. On the other hand, our earliest accounts of the Papal Mass, the Ordines Romani, describe how after the Gospel (and, later on, the Creed), the Pope would receive offerings of various kinds from the different orders of society, the nobility, the clergy, various dignitaries and the matrons of the city. (The oldest of these Ordines is of the 7th century, predating our oldest chant manuscripts, and also calls the chant “Offertorium”.) One could therefore understand the term to mean a chant sung while offerings of bread and wine, but also donations for the poor, were presented to the Pope, rather than as a reference to a sacramental offering. It might then be merely incidental that some of the bread and wine presented were used for the celebration of the Mass. However, the prayer which is called the “Secreta” in several early sources, and in the Missal of St Pius V, is called in many ancient sacramentaries the “Oratio super oblata – over the things which have been offered.” This title remained in use in the Ambrosian Liturgy even after the Tridentine period, and has replaced “Secreta” in the post-Conciliar Roman Rite. Here there can be no mistake as to the title’s meaning; the prayers themselves clearly do not refer to any offering other than that of the Eucharist, and yet the bread and wine have already in some sense been offered. The prayer might just as easily have been called “super offerenda – over the things to be offered”. It must further be noted that that these two elements, the chant and the Secreta/Super oblata, are the oldest textual elements of the Offertory rite, both predating the Offertory prayers, and both suggesting that an “offering” was made before the Canon, which in some way participates in the Eucharistic offering. Receive, o holy Trinity, this offering, which we offer to you for our Emperor, and his venerable offspring, and for the state of the kingdom of the Franks; for all the Christian people, and for our almsgivers, and for those who are mindful of us in their continual prayers, that here (i.e. in this life) they may receive forgiveness of their sins, and in the future obtain eternal rewards. 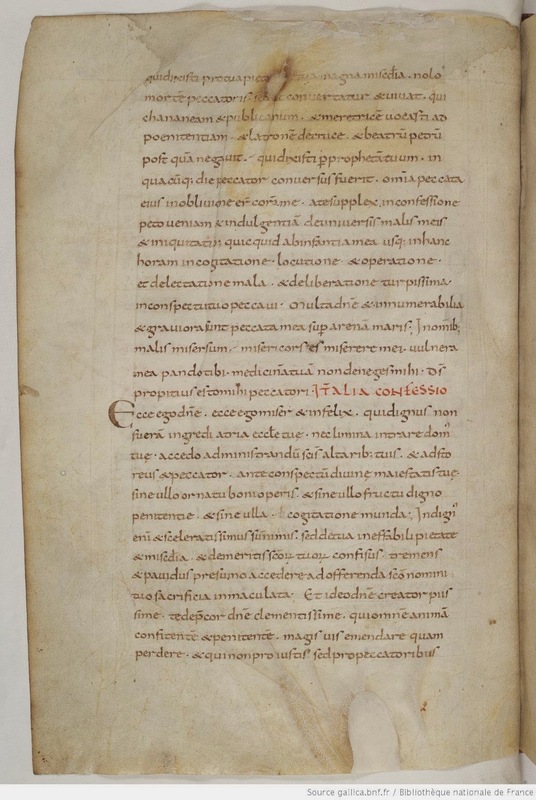 This prayer had great success, and was diffused throughout Gaul; every sacramentary of the period contains it, although with considerable modifications. In the Sacramentary of Echternach, written at the very end of the 9th century, it is reworked as follows, a version much closer to that of the Missal of St. Pius V, also found in various medieval Uses. It appears in the pre-Tridentine Ambrosian Missal in almost identical form, but in the Borromean revision, the words “Incarnation, Birth” were removed to maintain parallelism with the Canon. Receive, o holy Trinity, this offering, which we offer to you in memory of the Incarnation, Birth, Passion, Resurrection and Ascension of our Lord Jesus Christ, and in honor of all the Saints who have pleased you from the beginning of the world, and whose feasts are celebrated today, and whose names and relics are kept here; that it may profit unto their honor and our salvation; that all those whose memory we keep on earth, may deign to intercede for us in Heaven. 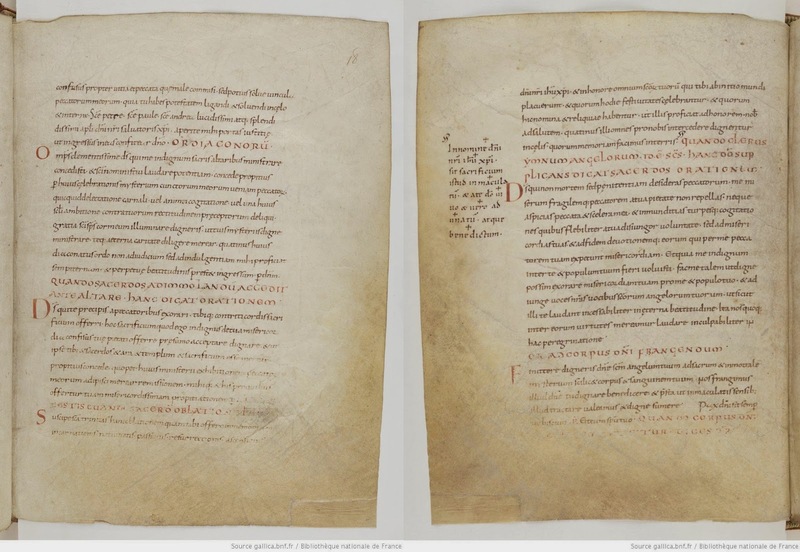 Two leaves of the Sacramentary of Echternach, (Bibliothèque nationale de France, Département des manuscrits, Latin 9433) The Offertory prayer Suscipe Sancta Trinitas begins on the lower left; the Apologia (described below) is right above it. God, who commandest that Thou be entreated by sinners, and that sacrifice be offered to Thee by the contrite of heart; deign Thou to accept this sacrifice, which I (singular) unworthy, trusting in Thy mercy, offer to Thy goodness; and that I may be worthy to be unto Thee both priest, and altar, and temple, and sacrifice, mercifully grant, that through the presentation of this ministry, I may merit to obtain the forgiveness of my sins, and Thy most merciful propitiation for myself, and for those for whom it is offered. The modern reader may find the expression “that I may be worthy to be unto Thee both priest, and altar, and temple, and sacrifice” rather exaggerated, but one thing should be clear. The author of this prayer is either seeking to associate the action of the priesthood in its entirety with that of Christ, who is truly Priest, Altar and Sacrifice, or he is founding a different religion. More importantly, it should be noted he is offering the sacrifice for others, distinct from himself, despite his repeated protestation of his own sinfulness and unworthiness. In this latter regard, the Sacramentary of Echternach is the very soul of restraint. 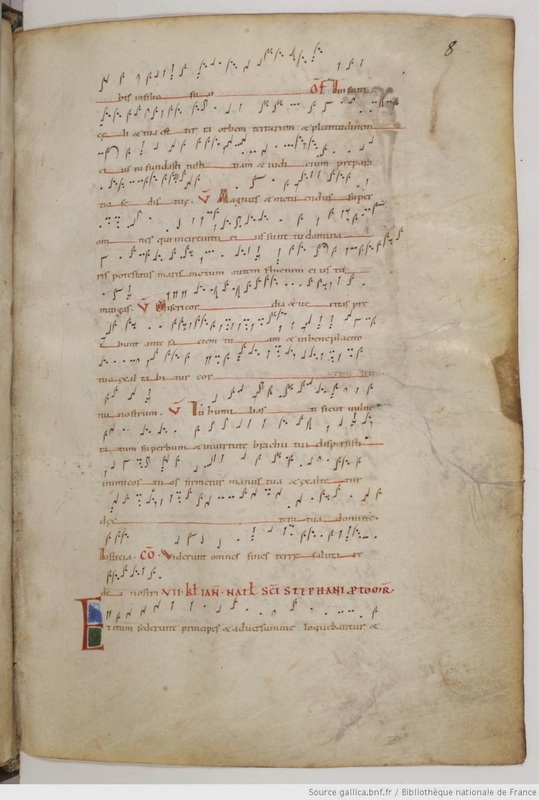 In the 11th-century Benedictine Missal of Troyes, there are four such Apologies, occupying three full folios of 9x12” parchment, written in a fairly small hand. The third of these begins as follows, and goes on for almost forty lines after. Behold, o Lord, behold, I, a wretched and unhappy man, who was unworthy to enter the porches of Thy church, nor cross the threshold of Thy house, I come to minister at Thy holy altars, and stand here, guilty and a sinner, before the sight of Thy divine majesty, without any adornment of good works, and without any fruit worthy of penance, and without any clean thought. The important things to note is that the Offertory prayer emerges as part of the rite of Mass at the same time as the Apology, the presence of which convincingly belies the idea that the Offertory was created to expresses the priest’s personal magnificence, or independence from Christ in the exercise of his priesthood. And in any event, ALL of this happened well before the Scholastics; the Echternach Sacramentary was copied out 140 years before the birth St. Anselm, the father of Scholasticism, in roughly 1035. Consolamini goes on to claim that by changing the Offertory of St. Pius V to a “preparation of the gifts”, the Missal of 1970 restores the rite of Mass to a view of sacrifice more consonant with the Apostolic and Patristic tradition, a tradition from which the Missal of 1570 and its antecedents “deviate”. I intend to examine this claim in greater detail in another article. But specifically in regards to the priesthood, his claims are undermined by the post-Conciliar treatment of Sainted priests in the liturgy. Historically, the Roman Rite groups male saints (after the Apostles) in two classes, Martyrs and Confessors; these are then subdivided into bishops and non-bishops. Many texts of the Mass and Office are common to bishops and non-bishops, but the distinction is always made clear, especially in the prayers. Significant for the topic at hand is the fact that priests, who are supposedly exalted beyond measure by Scholastic theology in their possession of their own priesthood, remained in the same group as laymen, with the same Masses and Offices. Liturgically, Ignatius of Loyola and Jean-Marie Vianney belong to the same class as a locally venerated but otherwise obscure medieval hermit of uncertain history. This distinction was inherited from very ancient times by the Middle Ages, and maintained throughout the Scholastic period, when, if Consolamini were to be believed, there would be every reason to create a special Mass and Office for sainted priests. In the Novus Ordo, however, the category of Confessors is no longer found. Among the new classifications of male Saints who are not Martyrs, we find a “Common of Pastors”, with variants appropriate to popes, bishops and priests, followed by other commons for the laity. Deacons are not included among the Pastors. I do not believe that this change exaggerates the importance of the priesthood beyond its due, much less that it was designed to do so. It does, however, make for an interesting claim to say that the post-Conciliar revision of the Missal supposedly put the priesthood back in its place by abolishing the Offertory, while creating a new category of Saints just for priests. Many NLM readers will be aware of him through his books and articles and his connection with Mudelein. It is heartening that a lecture by someone who promotes the tradition so strongly was attended by over 300 people (even if some had to be there for credit judging from the beginning of the lecture) At least that means that their professors felt it was important, which is even better! He is very natural and engaging speaker who knows how to make his subject come alive. Denis is an architectural historian specializing in the theology of liturgical art and architecture, classicism, and sacramental aesthetics and is the author of several books, including Catholic Church Architecture and the Spirit of the Liturgy (2009), and How to Read Churches: A Crash Course in Ecclesiastical Architecture (2011), as well as multiple articles and reviews. On Thursday, February 28, 2013, at eight o’clock in the evening, Rome time, the See of Peter became vacant. Through his own unappealable decision and at a time appointed by himself, Pope Benedict XVI had ceased to be the Vicar of Christ on earth. In company with Pope Benedict, we observed the fiftieth anniversary of the opening of the Second Vatican Council—a Council in which he vigorously took part, a Council whose legacy he later witnessed being manipulated or forgotten as the “virtual” or “media” Council and its antinomian “spirit” took the upper hand, and finally, a Council that he rightly demanded must be read in a “hermeneutic of continuity” with everything that had come before or had been clarified since. All of this suggests that Pope Benedict was passionately concerned with rectifying something, or many things, that had gone desperately wrong in the past five decades. One way of understanding what has happened over this half-century is to think about the delicate balance between ad intra and ad extra concerns, which are two sides of the same coin. The Church has her own life, one could say—a liturgical, sacramental, spiritual, intellectual life, defined by the confluence of Sacred Scripture, Sacred Tradition, and the Magisterium—and this life must be tended, nurtured, guarded, deepened. But simultaneously the Church always has a calling to go outwards into the world of unbelief, to preach to it, convert it, sanctify it, confront its errors and wrestle with its problems. It seems to me that the noble intention of Blessed John XXIII, a very traditional Pope in many ways, was to bring the treasures of the Church’s inner life to bear on modernity and the modern world. To this end he convened the Roman Synod and, more fatefully, the Second Vatican Council. He wanted the Catholic Church to send forth God’s light and truth, to intensify an apostolic activity that, under Pius XII, was already flourishing. What actually transpired in the years of the Council and immediately afterwards is well known, tragic, even apocalyptic. The Church went through a period of ad intra amnesia and lost herself in an ad extra intoxication. It was forgotten that if one’s own house, one’s own soul, is not in order, one has nothing worthwhile to share with the world; that preaching the Good News to unbelievers is effective only to the extent that there is something profoundly and transcendently good awaiting them when they arrive at church. Instead of recalling the People of God to a sane repentance and inaugurating massive repair work ad intra, however, Paul VI and countless churchmen pushed the ad extra agenda further and further, with greater and greater incoherence as the result. The promulgation of the Novus Ordo Missae sealed this trajectory and stifled, for a time, the cultivation of institutional memory and identity. In short, the history of the Church from the Council to the present is a history of unremitting ad extra efforts without the requisite interior resources. 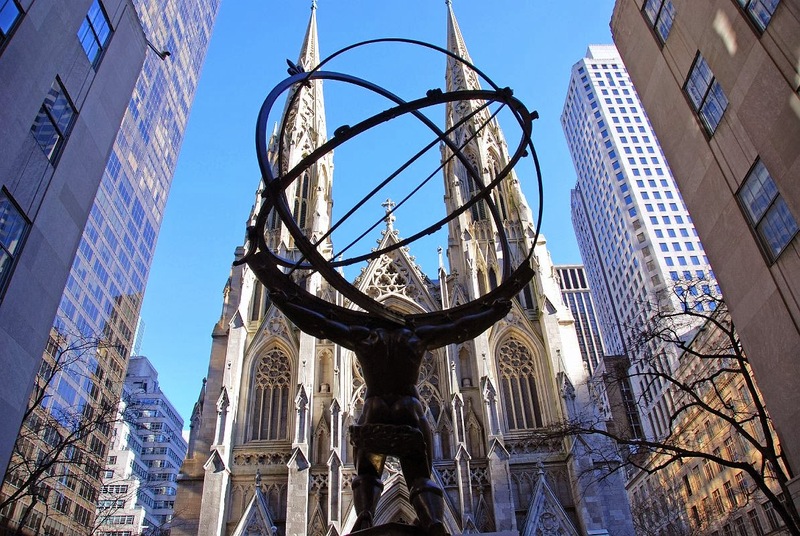 As many have pointed out, it has often seemed in the past half-century or so as if the institutional Church cared more for atheists, modernists, and every type of non-Catholic than for her own faithful children who are simply striving to believe what has always been believed and to live as Catholics have always striven to live, “in the world but not of it.” One thinks of the words of Saint Paul: “So then, as we have opportunity, let us do good to all men, and especially to those who are of the household of faith” (Gal 6:10); and again, “If any one does not provide for his relatives, and especially for his own family, he has disowned the faith and is worse than an unbeliever” (1 Tim 5:8). The Church is the family of God, and the pastors serve in loco parentis—so why are they absent? Are they truly taking care of their children, and of their children’s primary needs? Ecumenism, interreligious dialogue, efforts for social justice, even evangelization efforts are worthless if the faithful themselves are not first being well clothed, nourished, and taught—clothed by sacraments frequently and worthily received, nourished by a sacred liturgy offered with beauty and reverence, taught sound doctrine in catechesis, preaching, and schools. 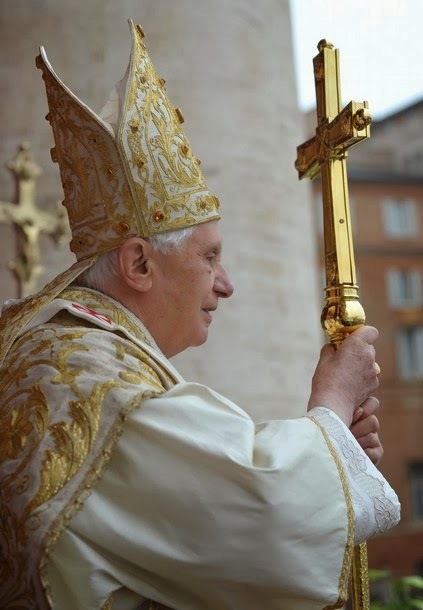 Hence, after forty years of wandering in the desert, the pontificate of Benedict XVI seemed, and truly was, a watershed moment, a breath of fresh air—a realization that it was time to attend to the state of our soul, to put our own house in order, to renew our liturgy from its deepest sources, and to learn once again what exactly is the Good News we are supposed to be sharing in the New Evangelization. This pontificate began to undo, in a systematic way, the amnesia and the intoxication. In addition to its burgeoning fruits in the daily life of the Church, Summorum Pontificum stands forever as a symbol of the effort to bring about meaningful change by recalling the faithful to a tradition, spirituality, and way of life that are not in flux, as, indeed, its symbolic date—the seventh day of the seventh month of the seventh year of the new millennium—plainly announced. In God’s Providence, it was a short pontificate, but the teaching and legislation of those eight years will, as the new century moves on, prove to be either the mustard-seed of an authentic renewal or the prophetic condemnation of a failed one. In any case, it is our privilege, through no merits of our own, to embrace with gratitude, humility, and zeal the traditional Catholic identity, the fragrant living memory of God's gifts, that Joseph Ratzinger/Benedict XVI has done so much to protect and promote, and to let these seeds bear fruit in our own lives. There is no more any one of us can do, and yet this is enough. For God can take the few loaves and fishes we have, and multiply them endlessly. When one thinks of the greatness of the task Pope Benedict entrusted to us—the task of authentic renewal from the very sources of faith and in continuity with tradition—and when we contemplate how much work and suffering faces us as we strive to put into practice the profound teaching on the sacred liturgy Our Lord has given us through this great pope, we might be tempted to grow weary of the fight and fall away from it, especially in a time when so many in the Church seem to be running away from the dawning light back into the stygian darkness of the seventies. “Patience hath a perfect work,” and its work is to maintain in us, despite all, the order of reason and faith. Let us take our courage in both hands; let us grasp this blessed patience so tightly and so strongly that nothing in the world shall be able to separate us from it: patientiam amplectatur. This is not the time for groaning, for self-justification, for dispute. We should not have been saved if Our Lord had declined to suffer. It is the time for bending our shoulders and carrying the cross, for carrying all that God wills and so long as He wishes, without growing weary or lagging on the road. … There is no spiritual future for any but those who can thus hold their ground. When we promise ourselves to stand firm and to wait till the storm is past, then we develop great powers of resistance. A Centre of Formation for the New Evangelisation has been established by leading experts in Catholic education. 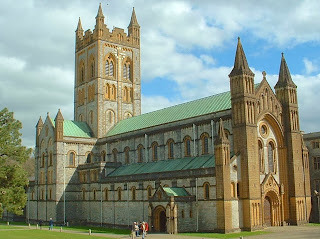 Dr Petroc Willey, Dr Andrew Beards, Dr Caroline Farey and others, have established this centre, called the School of the Annunciation, in the grounds of Buckfast Abbey in Devon, UK, thanks to the generosity and collaboration of the Abbot of Buckfast, the Rt. Rev. David Charlesworth and the monastic community. Dr Petroc Willey was appointed by Pope Benedict XVI a Consultor to the Pontifical Council for the Promotion of the New Evangelisation in 2012. The Holy Father also appointed Dr Petroc Willey and Dr Caroline Farey as advisors to the Synod on ‘New Evangelisation for the Transmission of the Faith’ held in the Vatican. The School of the Annunciation will begin by offering a Diploma in the New Evangelisation delivered by experts in this exciting and newly emerging field of activity and reflection in the life of the Church. As well as the Diploma in the New Evangelisation, the School of the Annunciation is offering short Summer Schools. These provide a unique opportunity to study the Catholic Faith in the beautiful setting of Buckfast Abbey, sharing the monastic community’s life and prayer over long summer weekends in August. The academic faculty of the School of the Annunciation includes: Dr Andrew Beards, Academic Director; Dr Caroline Farey, Director of Studies; Dr Petroc Willey, Reader in the New Evangelisation, and Rev Nick Donnelly, Director of Formation. The Academic Registrar is Miss Monica Massarella. Reading through the comments to my recent post, as well as the welcome contribution of Most Rev. Peter J. Elliott, I have noticed that there may be some confusion concerning the skeptical stance taken by Fr. Kocik, myself, and several others on the Ordinary Form and on the “reform of the reform.” My goal in this short article is to lay out several clarifications that, I hope, will assist everyone in the conversation. It seems to me that there are two very different meanings of the ROTR. First, it can mean simply celebrating correctly according to the latest edition of the revised liturgical books, following the desiderata of Vatican II (use of Latin as well as vernacular, Gregorian chant and polyphony, appropriate silence, only the right ministers doing what belongs to them, good mystagogical catechesis, etc. ), and featuring everything traditional that is permitted in the celebration. Second, it can mean undertaking the step of a reform or revision of those very books, to re-incorporate unwisely discarded elements and to expunge foolishly introduced novelties. For convenience, let us call these ROTR-1 and ROTR-2. I am completely in favor of ROTR-1, that is, celebrating the Ordinary Form in the most reverent, solemn, beautiful, and sacred manner possible, since that is the way Catholics ought to celebrate Mass in any rite or form. In this sense, I agree with Fr. Zuhlsdorf’s oft-repeated statement “when the tide rises, all the boats rise with it.” As for my bona fides, I have been directing choirs and scholas for Novus Ordo celebrations for over 20 years and am presently in charge of the music both for a weekly traditional Latin High Mass and a weekly sung Novus Ordo Mass with vernacular propers and hymns. 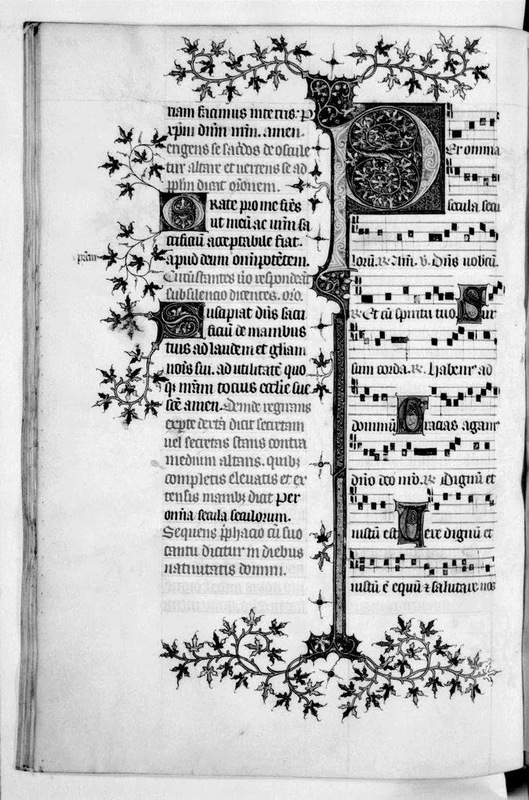 On certain weekdays, our schola sings the Gregorian Ordinary and Propers out of the Graduale Romanum at OF celebrations. Our altar servers follow Msgr. Elliott’s Ceremonies of the Modern Roman Rite—truly a gift to the Church!—with the keen devotion that traditionalists have for Fortescue and O’Connell. So I am personally quite familiar with and supportive of ROTR-1 ideals. What precisely is the object of controversy, then? Many Catholics who deeply love the Church have been led by long experience and careful study of the liturgy to the conclusion that the reform carried out by the Consilium and promulgated by Paul VI is not just the unfortunate victim of a wave of abuses but something deeply and inherently flawed in structure and content [Note 1]. It is not in continuity with the Roman liturgical tradition as organically developed and received at the time of the Council. As a result (touching now on ROTR-2), it cannot serve as a suitable platform for the long-term future of the Roman Rite. failed to respect basic laws of psychology and sociology concerning behavior towards a cultural patrimony, requirements of ritual stability for group identity and harmony, etc. Now, none of this amounts to saying that the OF “no longer has a place in the life of the Church.” Obviously, it occupies and will continue to occupy a huge place—and may the Lord, in His mercy, grant people everywhere the grace, as long as this form remains the status quo, to implement ROTR-1. Nor does it amount to saying that the OF should be immediately discontinued and replaced by the EF, which is not practicable or advisable at this time. What it does say, however, is that there are intrinsic and inescapable limits to the scope and success of the ROTR project. Even assuming a happy day when every OF celebration across the globe is reverent, solemn, beautiful, and sacred, in full accord with Vatican II and the post-conciliar Magisterium, there will STILL be a profound discontinuity between what came before the Council and what came after, in the very bones and marrow of the rites themselves, in their texts, rubrics, rationale, spirituality—even, to some extent, their theology. In a superb series of posts in the past few days, Joseph Shaw, Chairman of the Latin Mass Society of England and Wales, has compellingly argued that even ROTR-1 often ends up being an awkward “falling between two stools” because it respects neither the genius of the Vetus Ordo nor the specific motivations behind the Novus Ordo. I have experienced firsthand exactly what Shaw is talking about and can only say that it makes the task of any kind of ROTR extremely tiring, a constant struggle with the plethora of options, the rationalistic assumptions, the minimalism, antinomianism, and horizontalism that define the culture in which the Novus Ordo was received and from which it has acquired long-standing habits difficult to overcome. Shaw concludes that it is much easier and far better simply to begin celebrating the age-old liturgy of the Church: it starts at a healthy place, it is a coherent whole, it is serenely and admirably just what it is and there is no nonsense about it. Whether it needs minor reforms or not, it is not hamstrung from the starting block. One cannot recover lost continuity by stubbornly insisting on it. The only way it will happen is either if one should start afresh with the Vetus Ordo, which all agree embodies the received Roman liturgical tradition on the eve of the Council, or if one could modify the Novus Ordo in so radical a manner that it might as well have been abolished and replaced with a lightly adapted version of its predecessor. In any case, what we have now is not an evolutionary step towards that future authentic Roman Rite; it is a detour, an evolutionary dead-end. It is like those modernist churches that do not suffer gently the passage of time, that are trapped in their own era and mentality, never able to escape from it. The way forward is not to keep developing the modernist aesthetic but to abandon it resolutely and definitively, embracing and cultivating in its place the noble artistic tradition we have received, which retains tremendous power to speak to us of realities that are timeless and transcendent. That, to me, was the point of what Fr. Kocik, Dom Mark, Fr. Somerville-Knapman, Fr. Cipolla, Fr. Smith, and others have been saying—not, Deus absit, that it is not worthwhile or even urgent to celebrate the Ordinary Form as well as can be done. Those who celebrate the OF have their work cut out for them, and those who already love and cherish the EF have their own work to do, for all celebrations of the liturgy should be as fitting as can be. Nevertheless, if this analysis is correct, there are systemic problems that the ROTR cannot address; it is good that we should not ignore or dance gingerly around these problems but truthfully and courageously admit them, in order to direct our efforts most of all towards a restoration that will bear the fruits of renewal denied to the Consilium’s reform. Prompted (it would seem) by the controversy surrounding the ROTR, Dom Mark Kirby offered another and very poignant reflection on the issue, "Home from the Liturgical Thirty Years War." He admits that, after spending decades of labor on the revised rites, working to elevate them as much as he could, he came to realize how much richer and more fruitful the traditional liturgy is—and that his time all along would have been better spent within this welcoming and lovely house. Moving from the cramped urban apartment bloc into the spacious old country home (the family seat, one might call it), may not be an option yet for many Catholics, but we can surely pray, hope, and work for the day when it will be a familiar and beloved house of prayer for every baptized member of the Roman Rite. One need only study Lauren Pristas’s book, The Collects of the Roman Missal, to see what was done to the Collects and why. And this is just the tip of the iceberg; the same thing can be seen with all the prayers for all the sacraments. One of Fr. Hunwicke's recent posts is simply titled "Auctoritas." However, a search under that word at his blog turns up many helpful (and fascinating) discussions on such topics as the auctoritas of Latin in the liturgy and the auctoritas of having but one Anaphora, the Roman Canon, in the Roman Rite. One thinks, for instance, of the work on cultural anthropology of Mary Douglas or Anthony Archer. For a discussion of the latter, see Joseph Shaw, "The Old Mass and the Workers". 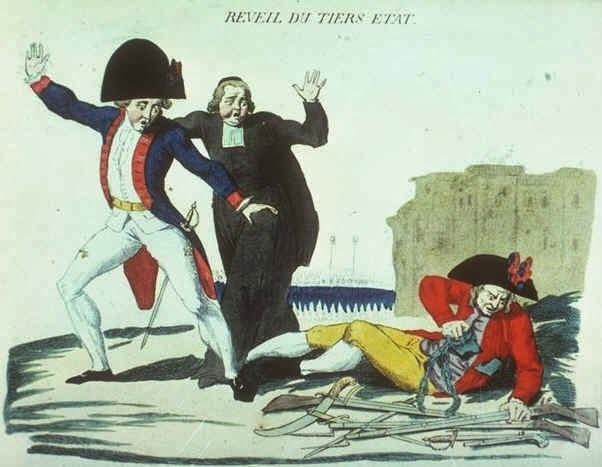 I cannot recommend these posts too highly: "The Death of the Reform of the Reform? Part 1"; "Part 2: The Liturgical Movement"; "Part 3: Falling Between Two Stools"; "Part 4: Novus Ordo in Latin?" Shaw provides knock-down arguments against thoroughly vernacularizing the old rite, which has kept floating up in recent days as somehow a good idea. Just yesterday Dom Mark Kirby gave us an incisive treatment of the problem of what can be called 'optionitis': see "Laws of Degenerative Liturgical Evolution." For my take on the issue, see "Indeterminacy and Optionitis." Some readers have pointed out that this whole conversation is, in a way, “behind the times”; have we already forgotten about great contributions made in the past to a fundamental critique of the Novus Ordo? For an exceptionally fine example, see Fr. John Parsons, “Reform of the Reform?,” originally published in Christian Order, November–December 2001. Apart from its magnificent clarity and depth of thought, this article demonstrates that the skepticism about ROTR-2 recently expressed by Fr. Kocik and others has been around for quite some time among those who know their liturgical history and theology. Would that more people took the time to learn for themselves just how the liturgical reform was actually done—the principles by which it acted, the judgments it made—and what that means for the life and health of the Mystical Body of Christ on earth. The Divine Liturgy Project was conceived after extensive conversations with laity and clergy in the Greek Orthodox Church for a resource readily available to the congregation that is able to communicate the transcendent beauty, deep symbolism, and theological meaning behind the Holy Mysteries. In recent years, many Orthodox have a renewed interest in the Liturgical Life of the Church and wish to understand and participate more fully in the Divine Services at their parish. The Divine Liturgy Pew books now in use are well intentioned, but include only the text of the Liturgy of St. John Chrysostom along with musical notation and common hymns for different feasts of the year. After careful analysis, we concluded that the vast majority of faithful are interested in learning more about the Liturgical Services of the Greek Orthodox Church, but the resources readily accessible to the parishioner in the English Language are few and far between. Those that are in English are often times not available in Parish bookstores and are suited for intellectual study of the liturgy rather than weekly devotional use at Divine Liturgy. To answer this need, The Divine Liturgy Project will provide a hybrid text that contains the vast majority of Divine Services celebrated at the parish level during the year along with Biblical, Patristic, and Devotional commentary to aid conscious and active participation during the Divine Liturgy. At this time, no such text exists in a “pew format.” The private prayers and actions of the priest, deacons, and altar servers behind the iconostasis at the side altars during the vesting and proskomedia (or preparation of the gifts) remain a mystery as they are neither seen nor heard by the congregation and are absent in the service books available to the laity. As a result, many are unaware of the some of the most beautiful, spiritually moving prose and rubrics of the Liturgy which convey deep theological meaning and have Apostolic Origins. The Divine Liturgy Project will address these concerns by presenting the faithful with a resource that will encompass the vast majority of the liturgical year in a typical parish setting for the first time. The propers of Saturday Vespers and Sunday Orthros along with the vesting prayers of the clergy and Proskomedia with all of its rich symbolism will be in our new text. The Liturgies of St. John Chrysostom, St. Basil, and the Presanctified will be included along with hymns for particular feast days. Additional services, such as the memorial service of the dead, the Great Blessing of Water on Theophany, and Artoklasia are just a few of the other services that will be included in the final printed version. What will set this project apart from other liturgy books, however, is the commitment to a text that pays homage to the beauty and majesty of the Divine Liturgy. Scriptural quotes and quotes from Church Fathers will be interwoven in the margins of the services describing the theological basis for the different actions of the Liturgy and what is occurring on the altar. Beautiful, high resolution images of the actions of the priest during the Divine Services and high quality iconographic depictions and paintings depicting Eastern Liturgical history will be included as well. A section devoted to popular saints of the Greek Orthodox tradition will be included to encourage popular piety. In short, this will be a resource for the pew that will inspire Faith. This is a project that will involve collaboration between faithful Orthodox Christians, the clergy, and the hierarchy to produce a volume that is worthy of our tradition. This may seem to be to be an ambitious project however the need for such a volume has never been greater. Providing a text with commentary to the faithful will serve to educate and edify the faithful so that they might know more fully the beauty and truth of our Orthodox Faith. The first edition of this book according will be geared toward Greek Orthodox faithful with parallel translations of Greek and English. The Divine Liturgy Project will provide a resource for the faithful in the Eastern Orthodox Church to foster active and conscious participation within the liturgy and encourage devotion. Although ambitious, the goal of the Divine Liturgy Project is very achievable. All of the liturgical texts are readily available and simply need to be compiled. We will be using existing translations from current liturgical service books. Your help is needed! Please contact us if you are a member of the Orthodox hierarchy, clergy, or a seminarian with a love of the Liturgy willing to add your expertise to this project. This will be especially helpful as we will be adding edifying theological, scriptural, and patristic quotes to the texts of the Divine Services both to educate and encourage devotion. The guidance of Bishops and Priests of the Orthodox Church will be a necessary for all parts of the project. A tentative outline for the Divine Liturgy Project is already available. As per the Orthodox tradition, the blessing of the Orthodox Hierarchy will be sought before any final printing. The dedication of the current Ecumenical Patriarch, His Holiness Bartholomew I, to promoting a deeper love and understanding of the Liturgy among the Orthodox faithful continues to inspire the faithful in the United States and beyond. All Christians who volunteer time, talent, or resources for the creation of this volume will be acknowledged by name in the final printed text. As the finished volume will include illustrations and photos, high resolution images of the actions of the priest during the Divine Services will have to be donated from those who are photographically inclined. If you are skilled at Adobe Acrobat or are well versed in publishing or copy editing that would greatly beneficial. All funds donated to the Project will go toward the production and subsequent distribution of the text. We are operating without any full time staff. This is a labor of love for the Church for the salvation of souls. We look forward to your help and prayers. We have set up a “blog” for the time being to keep you abreast of new developments located at http://thedivineliturgyproject.blogspot.com/. Please contact us for more information. In closing we, like so many others in the Eastern Orthodox Churches, are heartened to see the liturgical trend taking place in the Roman Rite in particular with the adoption of the Vetus Ordo by so many communities and a renewal in the sense of the Sacred. The scholarship of the Latin Church in the recent past confirms the Apostolic origin of the Traditional Liturgy in both East and West. This was made possible by those who ensured that the Divine Liturgy of St. Gregory the Great was understood, venerated, and appreciated. In no small way we believe that The New Liturgical Movement Website was instrumental in that paradigm shift. The Divine Liturgy Project seeks to bring a similar renewal to the Faithful of the Orthodox Churches. The letter doesn't mention it, but this new project seems to be following in the footsteps of Abp. Joseph Raya and Baron Jose de Vinck, who undertook nearly fifty years ago to produce the acclaimed "Byzantine Daily Worship" (1968), which bore letters of endorsement from Patriarch Athenagoras I of Constantinople and from Patriarch Maximos V Hakim. The book's lack of music was an unavoidable limitation, since the various Orthodox and Eastern Catholic churches have varying musical traditions. This new project could, in theory, be different, since it is aimed at serving the needs of the Greek Orthodox faithful. In any case, we wish all the best to the Divine Liturgy Project and hope that the team will keep us informed of progress as the design and development work for the book gets underway. Thanks to the kind feedback I received on my posting concerning the up-coming regularly scheduled Dominican Rite Mass at San Clemente in Rome on Saturdays, I can now present a list of the regularly scheduled Masses in the Dominican Provinces of England, Ireland, Bohemia, and the Western Dominican Province (USA), as well as celebrations by the Fraternity of S. Vincent Ferrer in France. 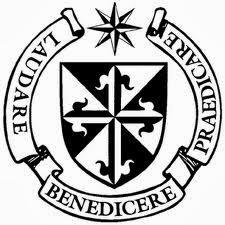 If readers or friars know of other REGULARY scheduled Dominican Rite Masses, I ask them to send me the recurring day, the hour, and the name and address of the church or priory. If the venue has a website, the address would also be appreciated. I will then update my list. The current inventory is found here. Had sixteenth-century Catholicism maintained the scriptural roots of patristic theology, the second problem – the exaggerated notion of Eucharistic sacrifice in which each Mass was seen as a new and unique Sacrifice of Christ to the Father – would not have been problematic. The loss of the patristic heritage and its replacement with Scholastic theology in the thirteenth and subsequent centuries created an appalling mystique to the Mass where it was claimed that Christ died anew and again day after day upon the altars. 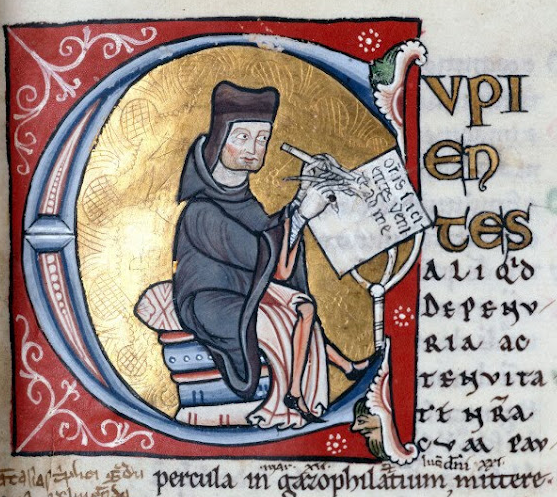 Let us therefore briefly consider what the principal theology textbook of the Middle Ages, the Sentences of Peter Lombard, has to say on the subject (Lib. IV, Dist. 12), keeping in mind that in the Scholastic era, a Doctoral degree in theology was obtained by writing a commentary on it. The question is posed, whether what the priest does is properly called “sacrifice” or “offering” (immolatio), and whether Christ is offered (immoletur) daily, or was offered only once. The answer can be made briefly, that that which is offered and consecrated by the priest is called sacrifice and offering (oblatio), because it is the memory and representation of the true sacrifice and holy offering (immolatio) made on the altar of the Cross. And Christ died once on the Cross, and there was offered (immolatus) in Himself; but daily He is offered in the Sacrament, because in the Sacrament, there takes place the remembrance of what was done once. … what is done on the altar is and is called a sacrifice; and Christ was offered once, and is offered daily, but in one manner then, in another now. Peter’s conclusion “Christ was offered once, and is offered daily” is mainly derived from St. Augustine’s Epistle 98, “Was Christ not offered once in Himself, and yet in the sacrament, (“sacramento”, also “mystery”) … is He not offered every day for the peoples? And does he lie, who when asked, says that He is sacrificed?” Where Augustine writes “He is sacrificed”, he uses the present infinitive “immolari”, expressing a continual action. This is what the Council of Trent has to say on the same subject, Session 22, chapter 2. And forasmuch as, in this divine sacrifice which is celebrated in the Mass, that same Christ is contained and immolated in an unbloody manner, who once offered Himself in a bloody manner on the altar of the cross; the holy Synod teaches, that this sacrifice is truly propritiatory and that by means thereof this is effected, that we obtain mercy, and find grace in seasonable aid, if we draw nigh unto God, contrite and penitent, with a sincere heart and upright faith, with fear and reverence. For the Lord, appeased by the oblation thereof, and granting the grace and gift of penitence, forgives even heinous crimes and sins. For the victim is one and the same, the same now offering by the ministry of priests, who then offered Himself on the cross, the manner alone of offering being different. This stands in total contradiction to the scriptures where we are told that Christ died once for all (1 Peter 3:18; Romans 6:10; Hebrews 9:28). Each Mass was seen to be in its own right a propitiatory sacrifice and each priest an Aaronic priest who offered the victim to God on behalf of the people. The priest was not seen to be a sacramental sharer in the one priesthood of the One Priest, Christ, but like the priests of the Old Law a man who approached the sacrifice in virtue of his own priesthood. In his introduction to the two paragraphs taken from Consolamini, Fr. Ruff states, “I suppose I’d pull back from some generalizations about emotional health of some clergy.” It is true that generalizations often lead to difficulties and misunderstandings. The medieval scholastic theologians not only exaggerated the sacrificial nature of the Mass to make it repetitive of Calvary, but they invented a second sacrifice in which bread and wine were offered to God at the “offertory” of the Mass. Now obviously, the claim that the Scholastics (or anyone else) thought that there were two sacrifices in the ritual of the Mass, one of bread and wine, and another of the Body and Blood of Christ, is absurd. One might just as well claim that the Offertory prayer “We offer you, Lord, the chalice of salvation…” reflects a Scholastic notion that the chalice itself was offered, rather than its contents, foisting on the Church a belief that at the Offertory, the original Holy Grail is made truly present under the appearance of precious metals and stones. The sacrifice to which the Offertory refers is that of the Canon, not a “second sacrifice” of bread and wine; this is the plain sense of it, the sense in which it was written, and the sense in which it was understood. The people’s reply, “May the Lord accept the sacrifice (singular) at your hands…” emphasizes that the one sacrifice is that which the priest himself has just described as “mine and yours.” If this is an attempt to set the priest apart, “not (as) a sacramental sharer in the one priesthood of the One Priest, Christ, but like the priests of the Old Law a man who approached the sacrifice in virtue of his own priesthood,” it singularly fails to do so, since he is bringing the whole of the people with him. In short, we may debate the advisability of the Offertory as it stands in the Missal of St Pius V; indeed, we may find ourselves compelled to do so, since the motu proprio Summorum Pontificum has formally defined it as a part of the Roman Rite no less than the ‘Preparation of the Gifts’ in the Missal of 1970. But it does not constitute a separate act of offering from the Canon of the Mass, much less an offering of something other than what the Canon itself offers. Further articles in this series will examine other aspects of the history of the Offertory, some of the other objections to it, and the ecumenical implications which they raise. I have become uneasy with the words “reform of the reform”. It is hard to find a better expression, “enrichment” perhaps. But now that the concept and project of the reform of the reform is under attack in NLM, let me speak frankly. Permit me to offer counsel to those who announce the total failure of the post-conciliar liturgical reform, claiming that a reform of it is impossible and insisting that the Extraordinary Form is the only answer. We know would that reform would look like. We already have it at our fingertips. It would be a Latin dialogue Mass, said or sung ad orientem, with the readings in the vernacular. Then questions arise about some other changes set out in Sacrosanctum Concilium. In the context of the wider Church another issue inevitably emerges: could the Extraordinary Form be said or sung in the vernacular? Several years ago I was surprised to hear this proposed during dialogue over lunch with Bishop Fellay and Australian priests of the Society of St Pius X. I then began to speculate about pastoral problems among their young people. Unlike our young people who discover the Extraordinary Form and are drawn to its sacred beauty in increasing numbers, the Pius X young people have grown up with it, and yet they are aware of the wider vernacular Church beyond their cocoon. Some might argue that, in the Anglophone world, the Novus Ordo has been rescued by the better ICEL translations. Mass not only sounds different but the atmosphere in our churches has undergone subtle and positive changes. Of course I do not refer to parishes where the priest still babbles or barks, or to celebrants who play with the liturgy, a few even exhuming the 1998 ICEL texts. What needs to be discerned is whether this re-sacralising trend will endure and develop, for it is a major achievement of the reform of the reform that can be traced back to Blessed John Paul II (the Vox Clara committee), then developed so well by Benedict XVI in his wider project. This is why I do not want to see the gains of the reform of the reform project, fragile as it often is, broken or derided by triumphalist rhetoric, or pushed aside by an impatience that dismisses the whole Paul VI reform as beyond salvation. Well, impossible or not, Ceremonies of the Modern Roman Rite appeared, and was immediately denounced or ignored by the US liturgical establishment. An angry priest from Eyrie PA even claimed it was out of print. However, gradually the book emerged from concealment in seminarians’ cupboards, and now it may be found on top of their desks, and it is even cited in class by their professors. So those of us who have already worked for elements in a practical reform of the reform can see some progress, slow but steady, and welcomed by the young. However, the integrity of the two forms needs to be preserved and respected, even as the two are meant to influence each other in these times. My hypothesis about a reform of the Extraordinary Form would also be constrained by that current approach. Please let us keep this important conversation realistic, patient and moderate. The gift of Summorum Pontificum and Pope Benedict’s vision should not be compromised by loudly proclaiming the total failure of the Paul VI post-conciliar reforms. Sweeping claims and an imprudent triumphalism do no credit to some advocates of the Extraordinary Form. Nor is the Ordinary Form respected or supported by those who grumble about the new ICEL translations and others who draw absurd conclusions from a simpler papal liturgical style. Polemics also demean and discourage those of us who are still working to enrich the liturgy that is celebrated in most Roman Rite churches around the world. However, to maintain Pope Benedict’s Pax Liturgica, we all need much patience, and often that is hardest virtue on the Christian journey. For many of us, the season of Pre-Lent (beginning with Septuagesima) has already begun to prepare us for the rigors and resolutions of Lent properly so called. For others, Ash Wednesday comes each year like a thief in the night, and we often feel unready for it. The week before Ash Wednesday is a good time to finalize a plan for how we will devote ourselves more fully to prayer during the season of Lent. Each year, the Gospel of the First Sunday of Lent challenges us with these words: “Man does not live on bread alone, but on every word that comes forth from the mouth of God.” The question should arise for each one of us: Is the Word of God truly my daily bread? Is Sacred Scripture a source of life and holiness for me, day in, day out? It is true that the Holy Eucharist is our daily bread par excellence, without which we must perish; but it is no less true, as St. Jerome says, that “ignorance of Scripture is ignorance of Christ.” There is a reason the Holy Sacrifice of the Mass has always consisted of two components, whether they be called the Mass of the Catechumens and the Mass of the Faithful, or the Liturgy of the Word and the Liturgy of the Eucharist. We need both of them for a healthy spiritual life. This Lent can be a time for us either to begin lectio divina or to renew our commitment to it. 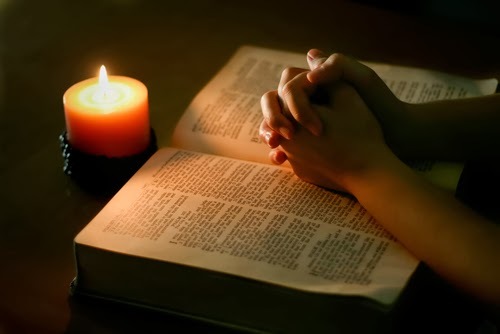 Many are familiar with the traditional four steps of lectio divina: (1) lectio, reading the text carefully; (2) meditatio, ruminating over it, savoring the words; (3) oratio, giving voice to the prayers that well up when one meditates on the text; (4) contemplatio, being lifted up into the peace, wisdom, and love of the Lord, as and when it pleases Him to lift us up. The classic treatment of these four steps is found in Guigo II's Ladder of Monks (available here for those who wish to read it; as you would expect of a Carthusian, the text is pithy). Once we have mentioned these four steps, however, there is an immediate and important caveat: lectio divina is NOT a “technique.” Prayer is a relationship between persons; and when love is real, we do not implement a “system.” Bureaucracies, which, by definition, are not based on close personal relationships, follow systems. Do we love our dearest friends according to a technique from an instruction manual? So, it’s important to understand that in the spiritual life we are talking about a friendship with the Lord, one that needs to be developed like any other: with time, with sharing, with affection, with attention. The four steps of lectio divina are not, therefore, a kind of “recipe” for making prayer happen. They are, rather, an articulation of what happens naturally when we take the Word of God seriously. We read it; we think about what we’ve read and try to apply it to ourselves; when we do that, we start to pray spontaneously; and as we pray, the Lord leads us to a new closeness to Himself, and, as it pleases Him, causes us to rest in His presence. These four degrees or steps are more like the parts of an organic living thing—the root, leaf, flower, and fruit of a plant, for example. Plants don’t have techniques; they are living things and they grow from within, as long as sunlight and water and nutrients are present. Our souls are like plants in that way: we need spiritual sunlight, water, and nutrients. Our sun is Jesus Christ; our water is His grace; our nutrients are His Words. Given these conditions, our souls will flourish. No unusual heroism, expertise, or virtue is required to open up the Scriptures and begin to do lectio divina as a daily and fundamental part of our Christian prayer. I need three things: (1) a living faith, so that I believe God is speaking His word directly to me; (2) perseverance, so that I may continue on, whether my results are magnificent or, as they may seem to me, poor—not forgetting, however, that I tend to be a poor judge of spiritual results; (3) desire or longing for the face and the voice of the Lord, which is the very soul of lectio divina. “Thou hast said, ‘Seek ye my face.’ My heart says to thee, ‘Thy face, Lord, do I seek.’ Hide not thy face from me” (Ps 27:8-9). If we have faith when we take up the Scriptures, if we persevere with holy reading, and if our intention is to meet the Lord Himself, He will never fail us: He will become a fountain of living water rising up within us. The only prerequisite (if one can call it that) is a reliable sense of what books of Scripture are most appropriate for lectio divina, since they are not all equally suitable at every juncture in one’s spiritual life. Some are always and everywhere suitable, like the Gospels, the Epistles of Paul, and the Psalms, and this is where a beginner ought to start. Some, like the wisdom literature of the Old Testament, the prophet Isaiah, and the Book of Revelation, can work very well, although they will work better to the degree that one is already accustomed to the genre. All books of Scripture, of course, can be used profitably for lectio divina, but it is unquestionably best to begin with the Gospels—and never to stray too far from their wonderful light. Let me close this brief exhortation to take up lectio divina this Lent with an excerpt from a Letter of Pope St. Gregory the Great to his friend Theodore, physician to the Emperor, dated June 595. How timeless is St. Gregory’s advice! See, my most noble and beloved son, how we are distant from one another in body, yet intimately present to each other in love. To prove that, I have your letter before me, and the testimony of all your good works. Now I must presume on this mutual love of ours to say something to you which I think you need to hear. God the Holy Trinity has given you so many gifts: intelligence, wealth, compassion, and charity. Because of them you find yourself incessantly occupied with multiple duties and cares; and with that excuse you neglect your daily reading of the words of your Redeemer. But what is holy Scripture other than a letter sent by Almighty God to those he has created? Imagine if the Emperor had sent you a personal letter! No matter where you were or what you were doing, you’d make it a priority to find out what he wanted to say to you. Well: the Emperor of heaven, the Lord of angels and of men has sent you these letters in order that you might draw life from them: yet you fail to make the effort even to read them! Study and meditate on your Creator’s words every day, I beg you! Learn the heart of God from the words of God, so that you may long more ardently for eternity; so that you may be ever more inflamed with desire for the joys of Heaven. Your rest there will be all the greater, the more you have refused to rest from loving your Creator here and now. Our friends at the Latin Mass Society provide us with this informational video on the 3 pre-lenten Sundays which are in the EF, which prepare us for Lent. I found it fascinating and informative (as someone relatively new to the EF), and I hope you do as well. The Church Music Association of America is happy to announce that registrations are being accepted for the Summer Chant Intensive 2014 course of instruction. The event will be held at Duquesne University at the Mary Pappert School of Music, June 9-12, 2014. With Arlene Oost-Zinner and David Hughes instructing, it will be a week full of wonderful music, helpful instruction and will culminate in a sung Mass at the Duquesne University chapel. For more information about the event and to register, read more here. As I had occasion to point out some weeks ago in connection with mounting critiques of the post-conciliar liturgical calendar (see here), it seems we are entering a phase of great honesty and frankness in assessing not only the false principles behind the Pauline liturgical reform and the worldwide damage it has wrought—a sobering assessment that has certainly not been lacking over the past 40 years—but also, in particular, the possibility of a correction of this reform that would preserve its core while removing abuses or re-integrating foolishly discarded elements. The new and more realistic phase to which I refer is captured succinctly in Fr. Thomas Kocik's recent article at NLM, "Reforming the Irreformable?," which has attracted a remarkable amount of attention. In essence, the conclusion is this: a "reform of the reform" is not, in fact, possible. The Pauline rite is so radical a deconstruction and reconstruction of the Roman liturgy that it does not exist in the same tradition of organic development. It is a new departure, a new thing, not a revision of the old thing that had been handed down over the centuries. As an artificial liturgical entity constructed out of pieces of the Roman heritage combined with modern scholarly inventions, any future reform of it would be no more than a variation on the new theme. The only way forward is not to tinker any more with this "fabrication, a banal on-the-spot product" (as Ratzinger called it in 1992), but to return steadfastly and stalwartly to the Catholic and Roman liturgical tradition embodied in the preconciliar Missal. Indeed, only in this way can the deepest aims and aspirations of the Second Vatican Council's Constitution on the Sacred Liturgy be achieved and even applied. Fr. Kocik's bracing honesty was the long-awaited and necessary announcement that "The Emperor has no clothes." There are many people who have said similar things over the years, but people perk up when an educated priest who has specialized in the study of the Roman liturgy and who, for a long time, defended and promoted the reform of the reform, finally cashes in the chips and says, "The only long-term solution and path into the future is to celebrate everywhere the usus antiquior, with full, active, and conscious participation." It has a way of clearing the air so that we can breathe freely. Here's a brief round-up of some of the best writing from recent days that, either expressly or implicitly, takes its cue from Fr. Kocik. I was, at one time, as deeply committed to the reform of the reform as was Father Kocik, having contributed to the Beyond the Prosaic conference at Oxford in 1996 and to the book that followed it. Like Father Kocik, although several years earlier, I came to see the futility of trying to repair something that, at bottom, is structurally unsound. Nowhere is the old adage, “Haste makes waste”, truer than when applied to the precipitous reform of liturgical rites and the books that contain them. In most places the liturgical landscape has become a dreary wasteland. The liturgical rites and books prepared so feverishly in the wake of the Second Vatican Council have been tried and found wanting. There are, it is true, liturgical oases here and there, where the reformed rites are carried out intelligently, with dignity, reverence, and devotion—I am thinking of certain communities, monasteries, and parishes, the Communauté de Saint–Martin, for example—but these subjective qualities cannot make up for the objective flaws and structural weaknesses inherent in the same rites. ... The passing of the years has demonstrated the intrinsic inadequacies of the reformed liturgical books of the post-conciliar era. 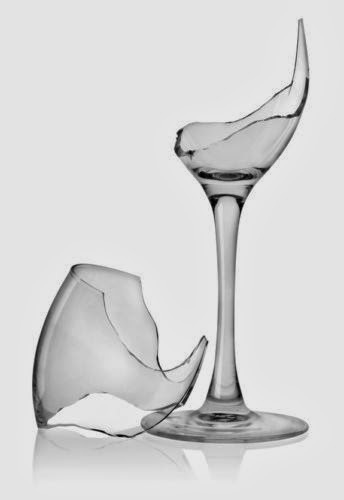 The cracks in the post–conciliar liturgical edifice became evident almost as soon as the new rites began to be “lived in.” Today, the same edifice appears like so many shabby buildings put up hastily during an economic boom, now revealing their structural flaws, and threatening imminent collapse. If liturgy was a live issue before the Council of 1962-65, it has become in the wake of that Council an explosive issue. Liturgy seems never to be at rest. For some, the Council gave a licence to change comprehensively the performance of the Church’s liturgy, and the change has been unrelenting. For others the changes were unjustifiable, unconscionable even, and they reject them outright. For others still, liturgy has been something to be coped with, an unavoidable battlefield on which they try to find shelter in some compromise that acknowledges the reality of change and seeks somehow to keep it organically connected to the Tradition of the Church. Few have been satisfied. In other words, there is a disjunction between what we are taught happens at Mass and what seems so often to be happening. There is an incongruence between the words and the actions. It is possible to do the new Mass properly; but the new Mass seems to have the inherent flaw that it is so easy to do improperly. This [article by Kocik] is indeed “Tract 90” for the "reform of the reform" and sounds the death knell of any serious attempt to hold onto the fiction of continuity between the 1970 Missal and the Traditional Roman rite. Just as Tract 90 marked the end of Newman’s attempt to find a Catholic continuity and a Via Media in Anglicanism, so does Fr. Kocik’s public articulation of the abandonment of his attempt to find a liturgical and theological continuity between the Novus Ordo and the Traditional Roman rite mark the end of the Reform of the Reform movement. What must be done now—and this will require much laborandum et orandum—is to make the Extraordinary—ordinary. The Ordinary Form of the Roman Rite, the Missal of Paul VI, is irreparably broken. Due to the false principles, exploded assumptions, and rationalistic method behind its composition, it was wrong from the first day, and it remains wrong, no matter how well it is celebrated. Its very prayers and rubrics embody a hermeneutic of discontinuity that cannot be cured without a complete reworking that would bring it substantially back into line with the preceding liturgical tradition. In the language of the philosophers, it would require not an accidental but a substantial change. As far as incremental reform goes (for example, if we look to how some Oratorians celebrate the new rite), nearly every successful step has involved adding or substituting something from the old Missal, or removing something painfully novel. In most respects, the Ordinary Form becomes better by becoming the Extraordinary Form. As such, the Ordinary Form does not so much need to be reformed as it needs to be retired, so that the genuine Roman Rite may once again occupy its proper place in the life of the Catholic Church, as it had done for centuries before. We have come a long way since the optimism of the 1990s, when it seemed as if one might somehow restart the process of organic development from within the Novus Ordo. If these authors are correct in their assessments, that is a fool's errand. No one thinking with the mind of the Church disagrees for a moment that the Holy Sacrifice of the Mass should always be celebrated as beautifully, reverently, and solemnly as possible regardless of the form in which it is offered, whether the historic traditional rite that nourished Catholics for a millennium and a half and continues to prove its durability, or the newly created rite of Paul VI that is already showing its age in an unflattering fashion. But it is no longer necessary to pretend that, with a certain yet-to-be-found alchemy, we can transmute lead into gold. The liturgy at the London Oratory played such a large part in my conversion, that I always hear news about the establishment of new Oratories with great enthusiasm. I reported on the establishing of and Oratory in formation in Lewiston, Maine a couple of years ago, and this continues to flourish, by all accounts. Now I hear with enthusiasm of the desire to form an Oratory in San Francisco. Fr Joseph Illo who has been serving has head chaplain of Thomas Aquinas College in southern California tells us in his blog that Archbishop Cordileone of San Francisco has invited him and one other to form an Oratory within his diocese. In order to establish the community they need pledges of finance and so any in the Bay Area who might be in a position to help should go to Fr Illo's blog here and respond to the pledge drive. On the same link above you can read more about the proposal. I pray that it has very success. With a plethora of excellent Catholic blogs these days, it can be hard to keep up with them all. Given the limits of time and the complexity of our responsibilities, it can feel at times like trying to answer ten phone calls simultaneously. I sometimes wonder if the ephemerality, effervescence, and sheer volume of the medium tends to limit the extent to which bloggers feel comfortable going deeply into their subjects, and thus, if it exercises a kind of subtle pressure to adopt a sketchy journalistic style that offers little nourishment and has little staying power. Happily, there are always exceptions to this trend, and a particularly notable one, in my opinion, is the recently established blog Theological Flint, manned by the formidable Thomistic theologian Dr. Christopher Malloy of the University of Dallas. For example, Malloy devoted four meaty posts to the traditional Catholic theology of the Holy Eucharist and the Holy Sacrifice of the Mass (here are the links: Part I; Part II; Part III; Part IV). Malloy's writing is profound, accurate, and often rhapsodic, with the added benefit of serving as an apologetic for the Catholic Church's teaching. I really can't recommend it highly enough! But it is from his post "What is a Reactionary?" that I wish to quote a few teasers here at NLM, whose authors and readers are accustomed to being called reactionaries (if not worse). Malloy gives us a fine analysis of the concept and reaches some surprising conclusions. What does it mean to wish a “return” to a previous state? The definition is relative to what “previous” means; it is relative to what the current state of affairs is. Thus, the term [“reactionary”] is simply relative and temporally bound. It should indicate nothing but what is relative. In practice, of course, we know this is far from the case. The term is a pejorative label used to dismiss the labeled. Although it makes sense to call “conservative” someone who grows up with the old regime and bemoans its departure, it does not make sense to continue wielding this term when the old regime is practically unknown, is almost completely disappeared. Nor, I submit, does the term “reactionary” have a place here. For “reactionary” and avant-garde seem poor bedfellows. Yet, the young man who is raised on a Catholicism that rejects Vatican I and Trent – however subtly – but who wishes to participate a real Catholicism and not a makeshift, rebellious Catholicism, and who seeks the full truth of the faith and therefore discovers the wider Tradition and discerns the faulty notions and conclusions of Karl Rahner and Hans Urs von Balthasar… this young man is avant-garde. Yes, the cutting edge of Catholicism is that which embraces the whole Tradition and rejects the rejection, negates the negation. This is the cutting edge of Catholicism. Is it reactionary? Well, let us say that this cutting edge indeed gains ground. Let us say that vocations were to abound in groups of men such as I have narrated above. Let us say that bishops were ordained out of these men. That the vocations of dioceses that reject such men shrivel up, that seminaries that reject such men with such views whither. Let us say that at some point the beauty of the whole Tradition were to shine again, undimmed and not persecuted but happily governing. And then some group wished to negate this. Some groups wished to return to the 1970’s. What is this group that wishes a return to the 1970’s—its taxes, say, and its deficient catechesis and retrograde liturgies? Reactionary? Because the term is relative and temporal, its use is rather fluid, or ought to be fluid. However, in the religious sphere, we find that the term with its same old evaluative connation is continually flung at whoever wishes for a Church that embraces the whole Tradition. This is an abuse.